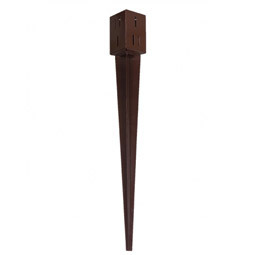 Designed to make the erection of fencing, gazebos, pergolas and other garden structures quick and easy, the PowaPost® range of fence post spikes offer strong anchorage for timber posts and are manufactured from welded heavy duty mild steel. PowaPost® is cost effective – uses shorter posts and no concrete required. 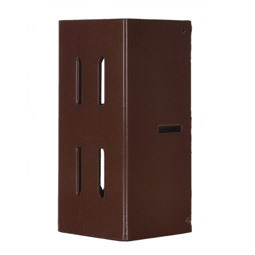 PowaPost® saves time and effort – no digging and quick, easy installation. 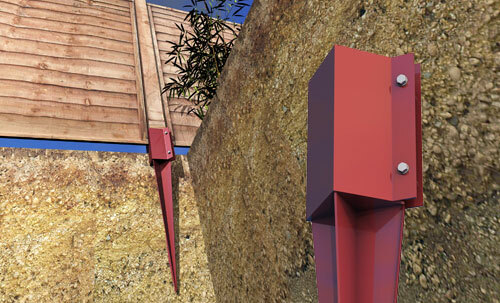 PowaPost® design – protects timber from water, fungal and insect damage. 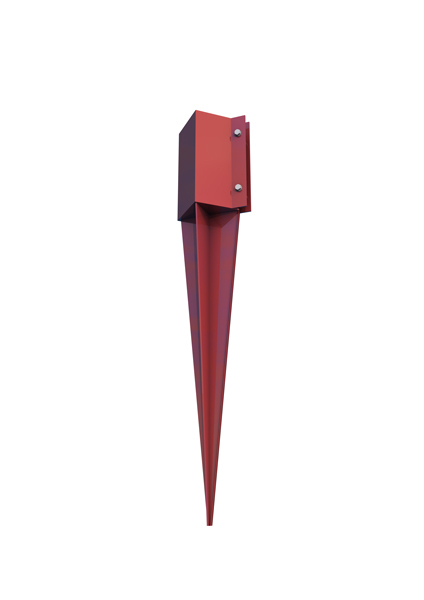 Suitable for most ground conditions, simply drive the spike into the ground using the PowaPost® driving tool. The four fin spike is designed for easy insertion with minimal twisting, and secure anchorage into the ground. Choice of Twin Bolt or EasyGrip design for a strong connection. 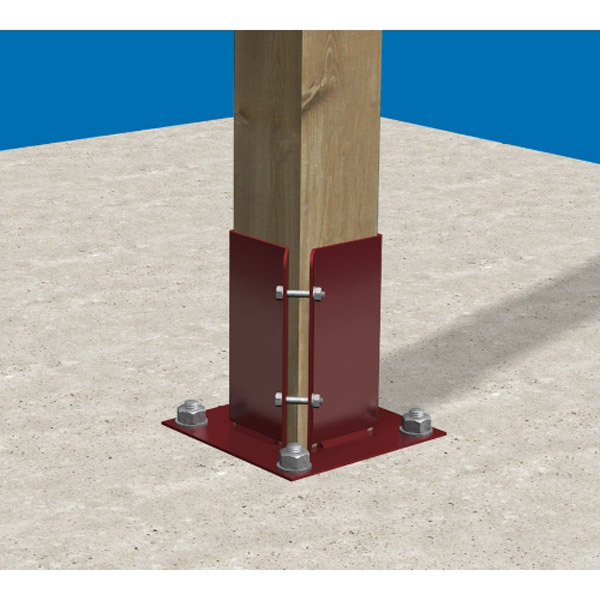 The EasyGrip design holds the timber post in a tight wedge without the need for fixings, whereas the Twin Bolt arrangement mechanically tightens around the post allowing easy removal of damaged or rotten posts. 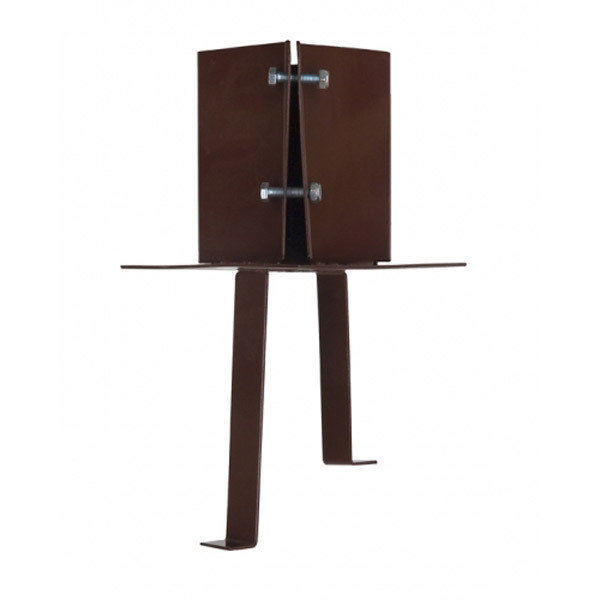 * Product code refers to overall length of component, i.e. 450mm spike plus 150mm shoe = 600 code. 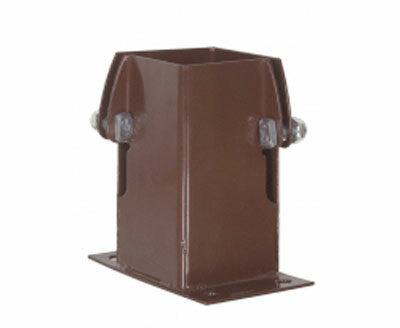 Hot Dipped Galvanised post supports are also available. 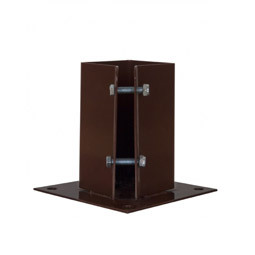 The Powapost® Bolt Down Shoe is designed for use when posts are required to be installed on an existing hard surface such as a concrete or wooden base. 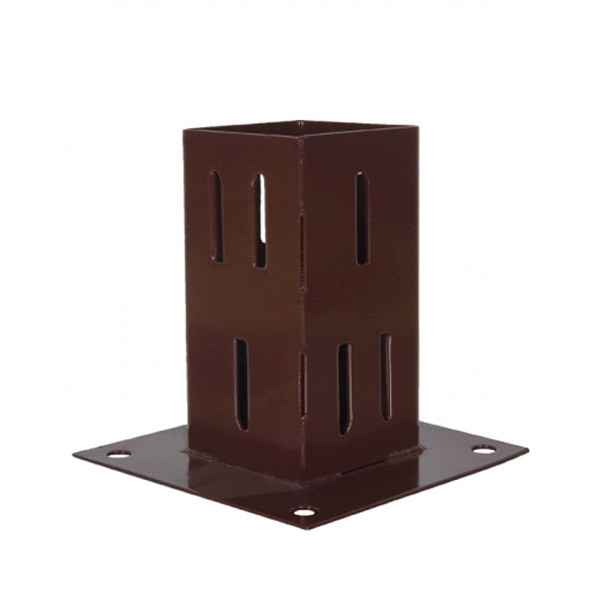 Ideal for use when building carports, pergolas, fencing and decking. Before drilling, use the shoe as a template to mark drill hole positions. Then secure the shoe to the surface using four bolts suitable for the job. It is important to follow the manufacturer’s guidelines when selecting the appropriate bolt fixing. The Powapost® EasyGrip Bolt Down Shoe features a wedge type grip which allows quick and easy installation without the need for tightening bolts. 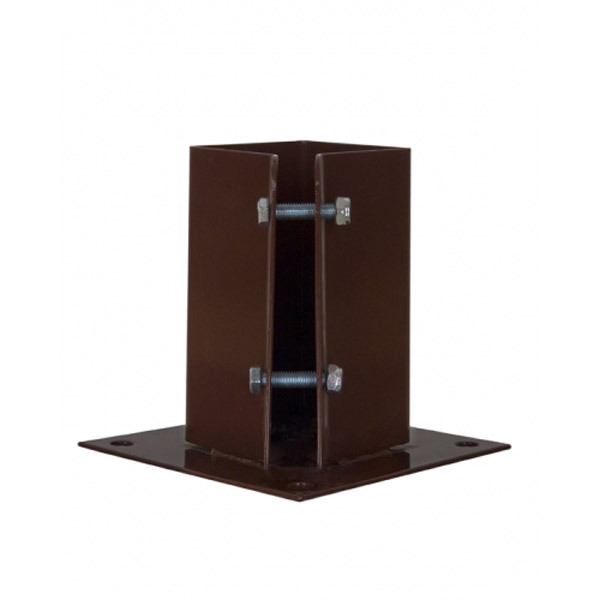 The Flush Fit Bolt Down is particularly suitable for applications where a post requires fitting against a flush surface or mounted on top of an existing wall, or in line with the edge of a patio or timberdeck. Designed for use when soil conditions are unsuitable for drive-in spikes. Simply set the shoe into a 450mm cube of concrete so that the base plate sits on the surface, checking alignment during installation. The post should only be inserted once the concrete has cured. 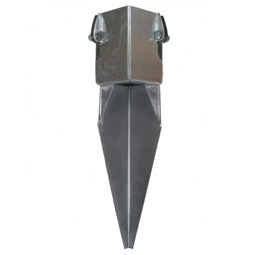 The Powapost repair spike is a sturdy welded shoe which provides an easy solution to broken or rotted timber posts that have been previously set into concrete. Perfect for repairing storm damaged fencing, the repair spike is installed quickly, eliminating the need to remove the existing concrete and without the need for digging or additional concreting. Saw off the old timber post at ground level and hammer the Powapost Repair Spike fully down, in-between the corner of the timber and the existing concrete, using a Powapost Driving Tool to aid insertion and protect the metal shoe. 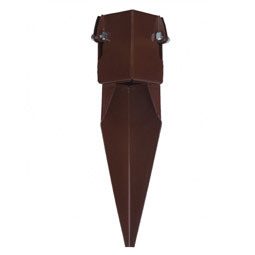 If the concrete is not sound enough to secure the spike, it will be necessary to re-fit the post in an alternative position using the Powapost DPS Fence Spike. 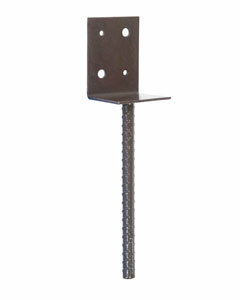 Once the Repair spike is secured in position attach either the old post if usable, or a new fence post. The Powapost Post Extender is a single piece welded box section that enables easy extension of any 75 or 100mm timber post, allowing easy addition of decorative panels and trellis. The easyGrip design allows quick and easy fixing without the need for any additional fixings. 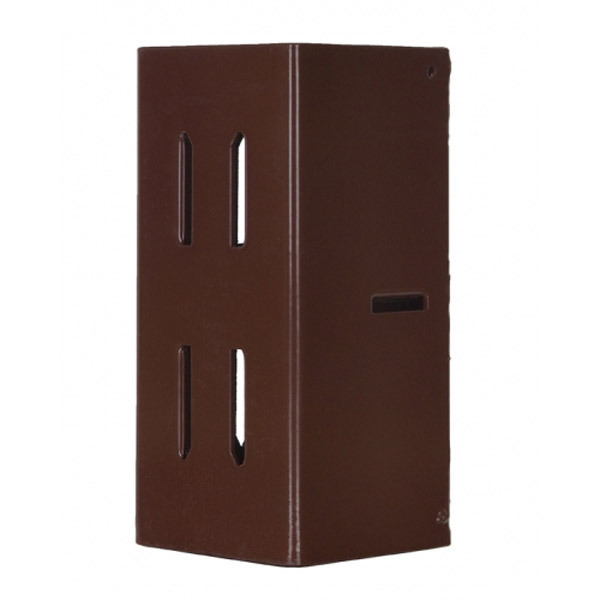 Simply drive the Post Extender onto the top of the existing post using the Powapost driving tool to avoid damage to the metal sleeve. Location tabs inside the component help provide accurate positioning. 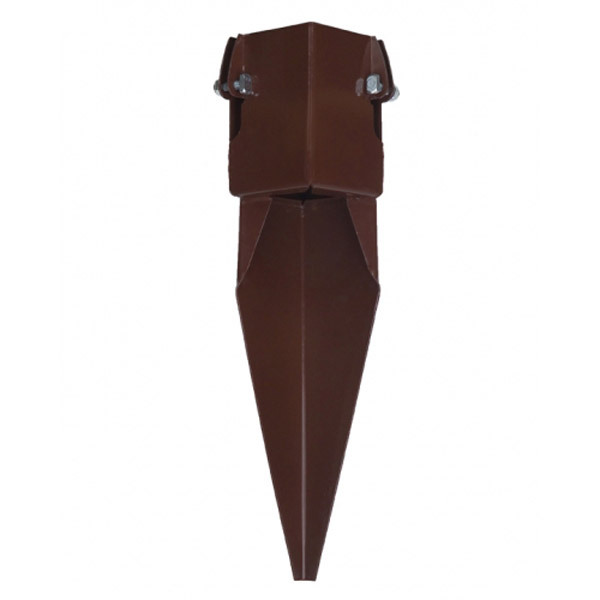 Once secured, drive the new timber post into the top of the Post Extender and use Powapost Panel Clips to secure trellis or decorative panels. Also available in Hot Dipped Galvanised finish, order code G/PEX/size. Heavy duty welded bracket, designed to be set into concrete. To secure garden sleepers, posts for gazebos, carports and shelters.